It's been interesting now that CRM 3.0 is out there in the marketplace. The stellar reviews that the product received before hitting the streets have, for the most part, been accurate. In my experience I have yet to see a nine-click installation go as smoothly as the Microsoft reps would have had us believe. There have usually been a few snags with SQL Reporting Services, the new reporting platform for Microsoft CRM. This seems to be the source of complaints for most people out there. 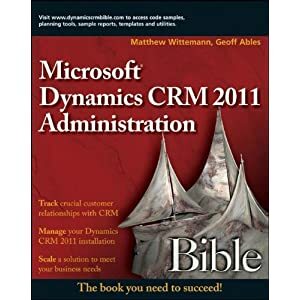 Microsoft did release a KB article or two about SQL-RS and CRM, but I think the fact that this is a new technology in general, and new to the MS CRM platform, it is only natural that there should be some glitches like this. 3.0 has also lived up to the hype as far as improved usability goes: there are indeed fewer clicks and pop-up windows, and customization is a snap. I love the way new entities and relationships can be created and edited and deleted relatively quickly. There's still quite a learning curve on what all the permutations of the various relationship properties mean, however. What are your thoughts on 3.0? Give me the good, the bad, and the ugly! I'll agree. While the installation can be difficult (especially ensuring that your hardware and network/AD are up to speed), the customization and usability far outwheigh the troubles during installation. We've implemented CRM 3.0 and are trying to integrate it into our business. The problem is that the SDK is so poor when it comes to samples. Do you have any hints on where to find working samples? Apart from that it's a great application. I am very dissappointed in the integration level with Outlook, online/offline is causing major problems, we had to uninstall various security updates for Outlook 2003, and in general the whole programm is extremely slow and the information you need is always a few windows away.